This Is Marketing (2018) begins with a provocative premise: the landscape of marketing has dramatically shifted in the past few decades, but we haven’t updated our thinking about it accordingly. Our mental model still places advertising at the center of the marketing universe – but in the age of the internet, that no longer makes sense. A new philosophy is needed. 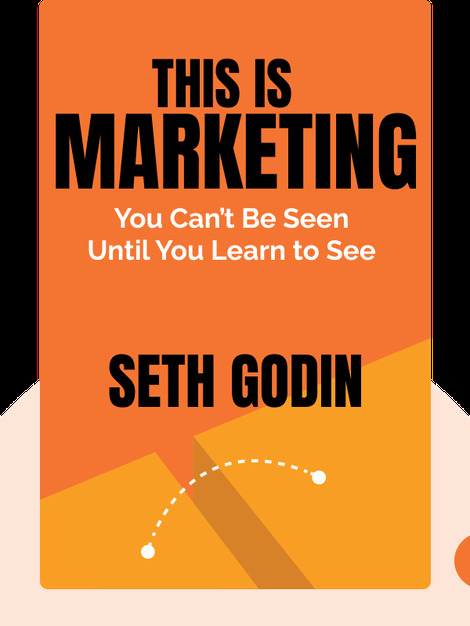 Seth Godin is a successful entrepreneur, educator, writer and speaker on the topics of marketing and leadership. He has founded two companies, Squidoo and Yoyodyne, and he has written 18 books, which include The Dip, a New York Times best seller, and Purple Cow, which sold more than 150,000 copies and went through 23 printing runs in its first two years. 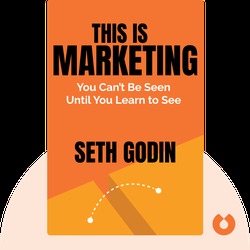 He has led a number of marketing workshops, seminars and courses, and he also maintains Seth’s Blog, which is as popular as it is self-descriptive.